Toronto’s DesignAgency has grown from a fledgling three-person studio to a successful firm with global reach, designing for the likes of Momofuko and the Generator hostel chain. With their most recent local project, the Broadview Hotel, instantly becoming the place to see and be seen in the city, we take a look out how they have become the go-to interiors firm for hotels and restaurants looking for ready-made character. Meanwhile, Storage Associati of Milan turns out an appropriately minimal boutique for edgy streetwear brand Acqua Salata in Cattolica, Italy, installing cage-like formations in high-octane yellow and orange to display the hard-to-find contemporary designs on sale; in Barcelona, designer Guillermo Santomà took an artistic approach when crafting the office space for advertising agency The Keenfolks, inserting a curious dome made from Masonite, mirrored acrylic sheets and topped with a crown of palm leaves; and in the Maboneng district of Johannesburg, poised to be the next global destination, the Hallmark House Hotel (a hybrid apartment building and guesthouse in a former diamond-polishing centre retrofitted by Sir David Adjaye with interiors by Malica Design) offers globetrotters an expertly curated place to stay. 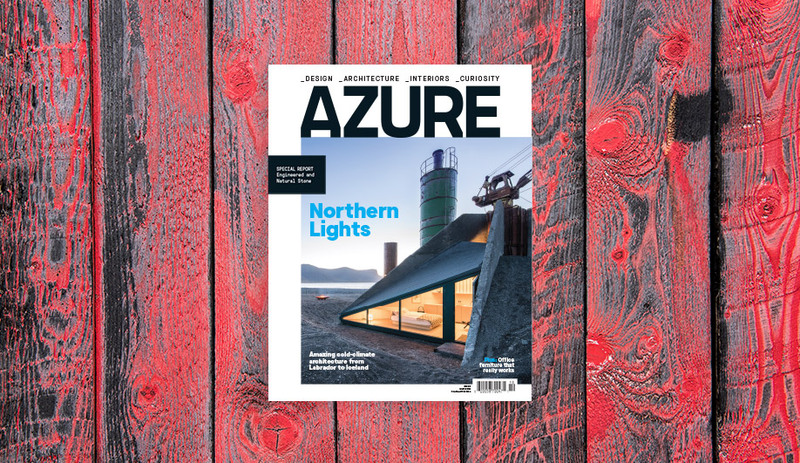 The Nov/Dec 2017 issue of Azure is now available on newsstands and online. 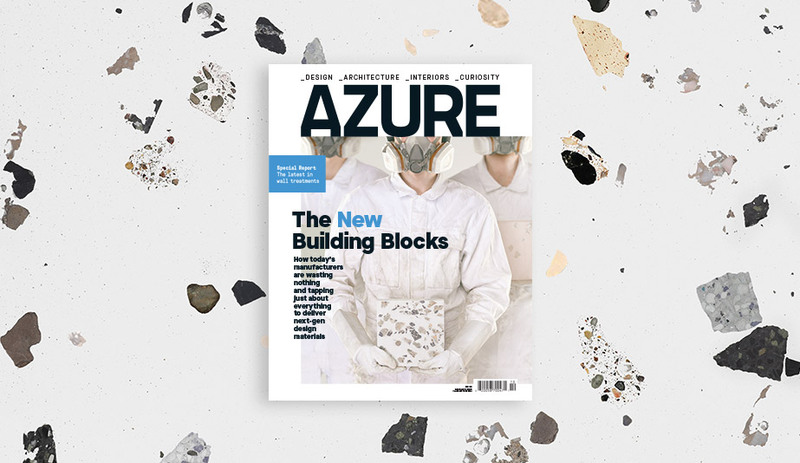 Get yours now: for single copies go to shop.azuremagazine.com; to subscribe, go to azuremagazine.com/getazure.